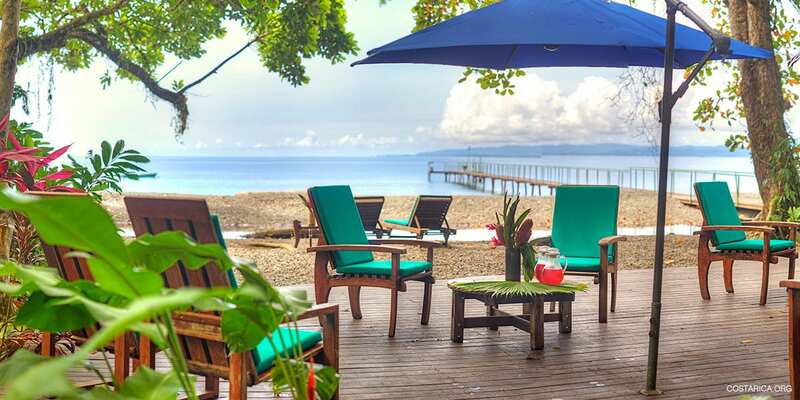 Come and visit one of the gorgeous regions of Costa Rica look at these Hotels in Golfo Dulce. The Golfo Dulce is located on the coast of the Osa Peninsula. This Osa is known for carrying wildlife so if you are a Birder, Nature lover or just love an adventure these hotels are for you. There are countless options how to spend your vacation here! See many different species of Birds Snakes, Mammals Sea Creature. Really whatever it is you are looking for you are sure to find it in the dense rainforest of the Corcovado National Park. The Golfo Dulce literally translated means sweet gulf. And there is a lot that goes to the meaning of the name. This area is a very sweet and beautiful region. There is an endless list of things to do in the Golfo Dulce one of those being whale and dolphin watching. Take a small boat ride into the gulf and see how many different species you can spot. Another fun thing to do is to take a tour of the Corcovado national park. See amazing animals, for example, the famous jaguar. If you want some help planning your trip we are here to give great advice. We can set up a great trip for your next vacation.